Where do you even begin planning and organizing an e-commerce storefront for your business? Start by looking at your design options, understanding your inventory (public facing or internal products), identifying the longevity of the site, considering self-registration or manual setup and deciding on fulfillment and payment options. 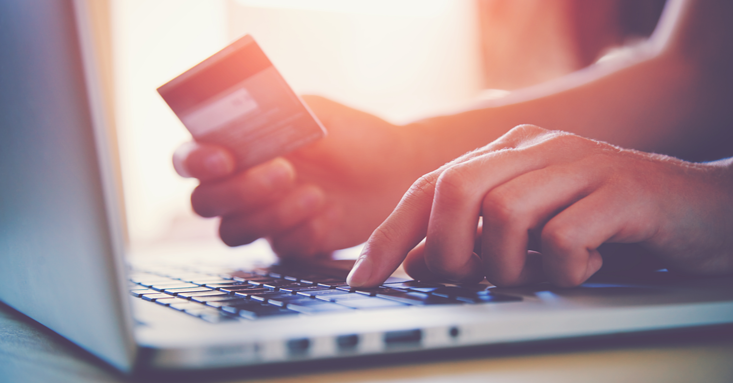 Roughly 60% of all internet users made an online purchase in 2016. This year, U.S. shoppers spent a record five billion dollars on Black Friday alone. Shopping online has become so popular that traditional brick-and-mortar malls and department stores are slowly dying. Still, the online playing field is crowded; consumers have so many choices. To stand out, you need a strategy that clearly separates you from the competition. Quick-buck artists come and go, and the businesses that make it are the ones that offer consistency, quality and a secure, seamless shopping experience. How will the look of the site reflect your branding? If it's designed correctly, a storefront is a great asset to your company. Potential buyers will evaluate the quality of your products and services (and maybe even the company itself) based on the look and feel of your online shop. The overall design and its ease-of-use are critical factors. Stay consistent and make certain your brand colors, imagery and overall messaging are consistent with your company's main website. Every element in your store needs to reflect your brand’s position, value and promise. WHAT products will be available for purchase? First, you’ll need to decide whether your e-comm site is for internal use or if it’s customer-facing. Maybe it’s both! Whatever the case, figure out how your prospects will use your platform and make the process as easy as possible. If it’s for internal use only, offer practical items or products that help employees do their jobs. Consider branded apparel or notebooks, promotional items, standard industry forms and/or computer accessories. For a customer-facing storefront, it’s vital to assess your company's potential before deciding on your featured products. Do you have enough stock to meet demand? Remember that you may have to order a set quantity of items up front. Can you possibly meet customer expectations? If you're unsure, it’s not a bad idea to just start with a couple of products – like branded apparel or industry-specific promotional items – and then add more as your store grows. HOW LONG SHOULD YOU KEEP THE E-COMMERCE SOREFRONT OPEN? Decide if you’re in the e-commerce game for the short term or the long haul. Maybe you’re just using e-comm to jumpstart your business and gain some brand recognition. For example, you may only need to sell promotional items for a short-term event, like a school spirit store during homecoming or a large company event where employees can order event-specific items or apparel. Or you may need a permanent mechanism for your franchise locations to order business cards and other branded, location-specific materials or clothing. Or maybe you want to be open for business 24/7, 365. Whatever the case, talk it through with your e-commerce team to determine the right solution for you. DO THEY RECOMMEND USER SELF-REGISTRATION OR MANUAL SETUP? A lot of small business owners tend to overlook this aspect when they’re setting up their online stores. This is another item that will depend on whether your storefront is for employees, for customers or both. On the other hand, if your primary visitors will be customers, you’ll probably want to opt for user self-registration, which is the process of users entering in their own information to create a profile. In either case, determine how your prospects would like to do their shopping on your platform, and make the process as easy as possible. What are the order fulfillment and shipping logistics? Another way of asking this is, “Who’s responsible for actually shipping these orders, anyway?” Will your e-commerce team have the items onsite and fulfilling the orders, or would you prefer to keep the items in-house and do it yourself? If your e-commerce team is doing the fulfillment, what are the costs involved? What is the expected turn-around time, and what method of shipping should be used? Your e-commerce team will probably have a few set options to choose from, so be sure to discuss all of the details before making a final decision. Making the right technical and logistical choices will make or break your e-commerce storefront. If you’re going to be accepting payment for your items, you need to have payment options in place. The shopping cart functionality must be robust and scalable to allow for product customization, inventory management and future growth. It also needs to integrate with a payment gateway that allows multiple transaction options and can manage, process and track everything safely and securely. And different e-commerce teams will have different payment options available. There may be credit cards that are/are not accepted, and there could be the potential to integrate with Shopify or PayPal. For employee-only storefronts, split payments may also be an option. This is a system where corporate can pre-pay a lump sum for each department or location, and those groups can order anything they want up to that dollar amount. Any spend over that amount can then be paid on individual credit cards, thus splitting the payment between corporate and the employees. Ironmark can take care of all of your e-commerce needs, from creative services to website development, digital marketing to logistics, we’re in this together. Drop us a line for more information, and let us help develop a turn-key e-comm solution for your business!